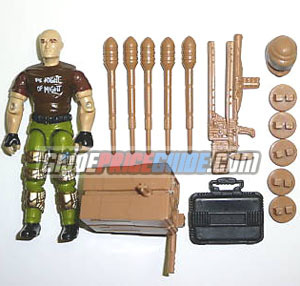 NOTES: Salvo was a member of the GI Joe team released in 1990. He fetches a decent price when opened because of his large number of small accessories. His shirt says "The Right of Might".